The international law firm has strengthened its position as a leader in restructuring across international markets with the addition of six new professionals to its cross-channel restructuring team. The team, which already benefits from the know-how of French partner Didier Bruère-Dawson, is joined by two new partners experienced in complex restructurings and equity capital issues: Pierre-Alain Bouhénic and David Chijner. Also joining are counsel Arnaud Moussatoff, Marta de Franciscis, and Emmanuelle Naulais. Brown Rudnick now boasts more than 75 professionals in its offices in London and Paris, about twenty of whom are dedicated to corporate underperformance and restructuring issues. PARIS (November 16, 2018) – International law firm Brown Rudnick LLP continues to expand in Europe with the appointment of six new attorneys to its cross-channel restructuring team, maintaining its drive to position itself as a leader within the industry. The expansion strengthens Brown Rudnick's position in geographically strategic marketplaces and significantly increases its Paris office's capacity in restructuring, the firm’s flagship practice in Europe and the United States. Joining the firm are two new partners, Pierre-Alain Bouhénic and David Chijner, together with the professionals assisting them, including counsel Arnaud Moussatoff, Marta de Franciscis, and Emmanuelle Naulais. The new additions join Brown Rudnick's renowned cross-channel restructuring team, which operates from the firm's London and Paris offices. Comprised of experienced restructuring professionals, such as leading practitioner Didier Bruère-Dawson, Brown Rudnick's restructuring team now features more than twenty partners globally. “These new hires will strengthen Brown Rudnick’s position in the European restructuring market and enable us to further broaden the range of experience we are able to offer our clients to support them in handling complex cases, such as internal bail-in operations, on which the restructuring and arbitration teams work hand in hand,” said Sébastien Bonnard, managing partner of the Paris office. 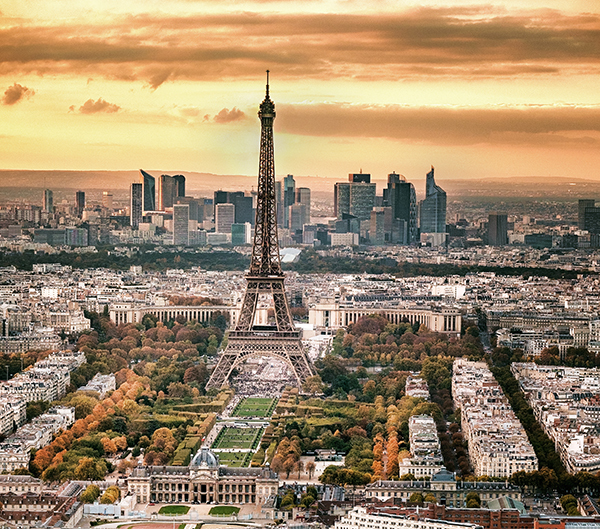 With three French partners dedicated to restructuring, Brown Rudnick is positioning itself in Paris as one of the key platforms in this area of practice. “Preventing and handling corporate difficulties is no longer an activity associated with periods of economic crisis, but now takes place in response to sector-specific crises and periods of economic transformation,” said Bouhénic and Chijner. The preparation and structuring of new financing or refinancing solutions, such as mezzanine financing through trusts and bond issues. The Brown Rudnick restructuring team acts on behalf of companies and groups in difficulty, financial shareholders, and industrial and financial investors, and is able to work in any sector. “The hospitality industry, retail, oil & gas, the media, agrifood, and distribution are all sectors currently experiencing problems and in which we regularly work alongside our clients, thanks to our knowledge of the general equity capital industry,” said Bouhénic, Chijner, and Bruère-Dawson. As the firm grows, we seek opportunities to add strong people to practice areas where we are a recognized leader," said Neil Micklethwaite, managing partner of the firm's London office. "This team fits into that strategy and will be a real asset to the firm." Pierre-Alain Bouhénic joins Brown Rudnick as a partner. With more than 20 years of experience working on complex restructurings, he helps companies and groups in difficulty, financial shareholders, and investors (both financial and industrial) in the context of legal and judicial proceedings, bankruptcies and restructurings involving both solvent and insolvent companies. After starting his career with Orrick Rambaud Martel, Pierre-Alain joined Weil Gotshal & Manges in 2001 as a partner. He went on to establish his own firm, where he continued to develop his practice between 2006 and 2012, before becoming a partner with the Paris office of DLA Piper. 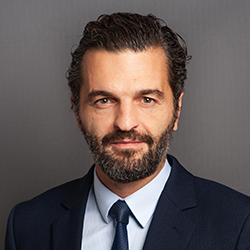 Registered with the Paris Bar Association, Pierre-Alain holds a post-graduate degree in European Business Law and International Law from Paris-1 Panthéon-Sorbonne University. 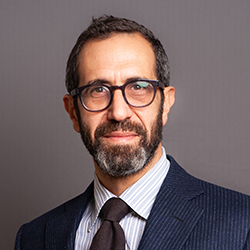 As a partner at Brown Rudnick, David Chijner, brings knowledge of complex restructuring operations: mergers and acquisitions involving litigation, corporate difficulties and the structuring of financing for companies in difficulty and complex refinancings. After working at Weil Gotshal & Manges in Brussels and New York, David became a partner at the Paris firm Serra Michaud & Associés in 2000, which became part of Weil Gotshal & Manges three years later. In 2005 he led the restructuring division of Fried Frank Europe, covering both the Paris and London offices, before joining DLA Piper in 2013. David is registered with the Paris Bar Association and is a Barrister in England and Wales. He holds a BA in French Law from Paris X Nanterre University, a BA in French and English Law from the University of Canterbury and an LL.M from the European University Institute. He speaks fluent French, English, Hebrew, Dutch, Italian and German. Arnaud Moussatoff joins Brown Rudnick as a counsel in the firm’s cross-channel restructuring team. He has restructuring experience with both solvent companies and in legal settlements, as well as sound experience in assisting investors wishing to secure their operations. Arnaud is registered with the Paris Bar Association and holds post-graduate degrees in Corporate and Tax Law from Lyon-III University. Marta de Franciscis has joined the firm as counsel in Brown Rudnick’s cross-channel restructuring team. Marta focuses her practice on assisting clients engaged in cross-border deals and restructurings, including advising companies in industrial restructuring and leveraged buyouts. Marta has extensive experience in structuring and negotiating private equity, venture capital, and joint venture deals. Marta received her LLM from NYU, and holds degrees in English & American Business Law and International Business Law from the Sorbonne. 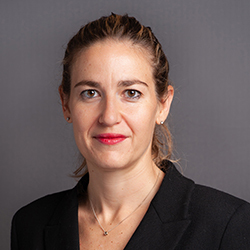 Emmanuelle Naulais has joined the firm as counsel in Brown Rudnick’s cross-channel restructuring team. Emmanuelle's practice focuses on assisting clients engaged in financial structuring and insolvency matters. Emmanuelle has a wide experience in leveraged acquisition finance, structured finance, corporate finance and syndicated lending. 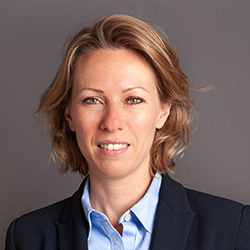 Emmanuelle holds a Master degree in Business and Tax Law from HEC - La Sorbonne and a degree in Business law. Nicolas Crocq has joined Brown Rudnick's cross-channel restructuring team as an associate. 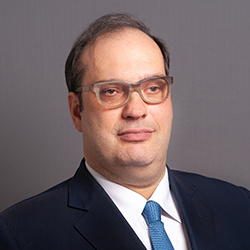 Nicolas specializes in the representation of private companies and investment funds engaged in restructuring and other commercial disputes. Nicolas holds a Master's degree in International Business Law from University College London, and Masters' degrees in Private Law and Business Law from the Sorbonne University.